If your furnace or air conditioner breaks down unexpectedly, it can be stressful and inconvenient. Even worse, you might end up paying too much for repairs because you simply don't know who to turn to. Fresh Aire will take the stress and worry away, and get you back up and running quickly. A new Home Comfort System will reduce your utility costs, improve your indoor air quality and make your family more comfortable than ever before. No matter your needs or budget, we have a solution for you. Fresh Aire will keep your system running smoothly and efficiently. Avoid the hassle of a breakdown with a seasonal Tune-Up, or better yet get one of our Energy Savings Agreements. Eliminate allergens and create a cleaner, more comfortable home environment with our Indoor Air Quality solutions. 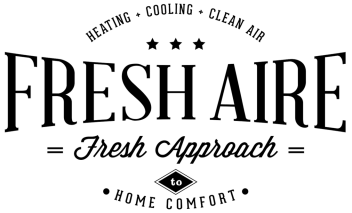 Whether you require a system to reduce asthma symptoms, add humidity to dry air, or just want less dust in your home, Fresh Aire has what you need. Our powerful duct cleaning process will effectively remove the unseen contaminants that live inside your duct system and will create a cleaner, healthier home environment. Additionally, duct cleaning will help protect your furnace and air conditioner from the harmful dust and debris that can steal your efficiency and comfort. Need an estimate for a new furnace, air conditioner or air cleaner? Want more information about repair costs? Estimates are always FREE. No truck charges, dispatch fees or charges just to show up. We have financing options for system upgrades as well as major repairs. Click Here for secure, speedy approval.